his bingo-style game is not about matching, it's about making 10! 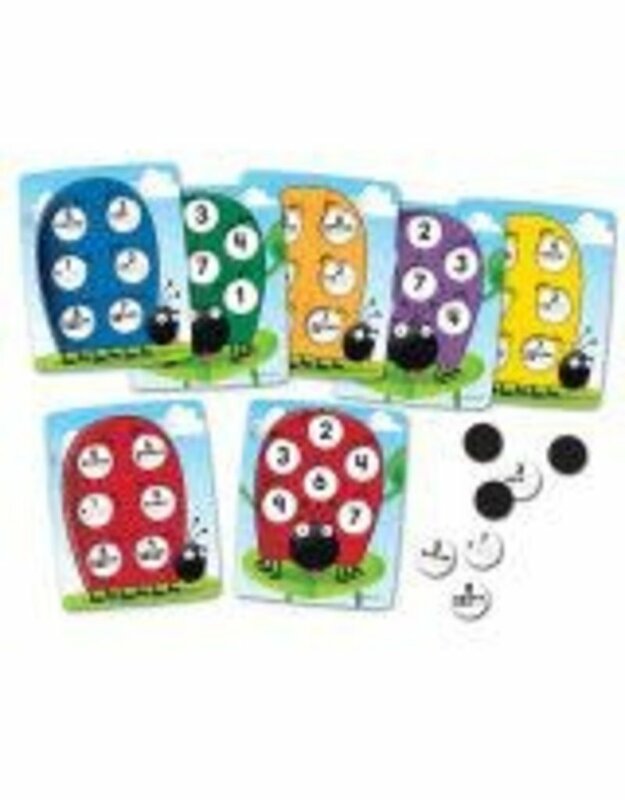 Cover the numbered spots on the ladybug with the numbered pieces that together make ten! Cards feature ten-frames on one side for beginners, and numbers on the reverse for more advanced players. Fill your card and win!